The Game On team offers the experience and talent equivalent to those of top-end, high-priced consulting firms. Yet our services are delivered much more efficiently and cost effectively. Focus on strengths. Our team—partners and associates— collectively represent over 200 years’ of experience — and each one of us devotes time, energy, and resources to what we do best - putting winning game plans together. Concentrate on solutions, not hours. Our low-cost infrastructure allows us to design fees that meet your financial needs and provide guaranteed satisfaction. Our delighted clients cross various industries including professional services, utilities/energy, education/training, healthcare, insurance, high tech, biotech, government, architecture, retail, product sourcing/supply chain, manufacturing, and more. 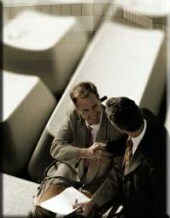 Thanks for considering Game On Consulting for your business solutions. Call us at 352-689-2591 or email us to find out how Game On can structure a cost-effective program specifically designed to your needs.